31-year-old Samantha Walsh was beaten to death in April 2017. A 30-YEAR-OLD Tipperary man has been jailed for life for murdering a mother-of-four he met in an addiction treatment centre. Samantha Walsh had just returned home from an AA meeting and had no alcohol in her system when Danny Whelan beat her to death while he was high on drugs. Whelan, of no fixed abode but originally from Thurles, was due to go on trial at the Central Criminal Court earlier this week, charged with murdering Walsh in an apartment in Waterford City. However, he pleaded guilty to murdering the 31-year-old on or about 28th April 2017 at an address in Thomas Court on Thomas Street. He was back before Justice Michael White today for his sentencing hearing. Detective Sergeant Donal Donoghue told prosecuting counsel John O’Kelly, that he had seen blood on the walls around the bed where Samantha’s body was found that afternoon. There was also a lot of blood staining on the sheets, in particular around her head, he said. He confirmed that a forensic exam indicated that she was assaulted in the immediate bedhead area, with the pattern of blood indicating the swinging of some form of bloodstained weapon. Donoghue explained that Whelan had met Walsh at Cuan Mhuire, an addiction treatment centre, in Bruree, Co Limerick in 2016. She moved home to Waterford on completion of her programme but they stayed in contact through letters he sent to her at her father’s home in the city. Whelan eventually relocated to Waterford. They moved, as squatters, into the apartment where he murdered her about a week before the killing. There was evidence from their neighbours that they had a volatile relationship, with shouting and screaming heard coming from their room. The gardaí were called to the flat twice that week and, on each occasion, they convinced Whelan to leave. However, they later made up and he moved back in. Whelan attended a Narcotics Anonymous meeting the night before he killed Walsh. He then bought vodka and cider before returning home. He visited his neighbours, who described him as angry and unsettled. Referring to Samantha, he said: ‘I hate the b**ch’. He drank a naggin of vodka before leaving. Walsh attended an AA meeting that night, returning home 20 minutes after her killer. Two hours later, she rang Whelan’s friend and asked him to speak to him. She complained that Whelan was ‘going mad’, and his friend could hear Whelan ‘roaring in the background’. The two men spoke, but Samantha continued to say that Whelan was going mad and breaking up the place. She also said: ‘He’s killing me’. Whelan’s friend advised her to get out of there. However, the coroner estimated her time of death to be about 40 minutes after the phone call, at 1am. When paramedics found her body at 3 o’clock the following day, rigor mortis had already set in. CCTV captured Whelan leaving the building at 2am, walking through the city centre and returning a few minutes later. He called to his neighbour at 9am, telling him that Walsh had left at 7am to visit her children and that she wouldn’t be back for a week. The two men collected their dole and bought heroin before returning to the neighbour’s apartment to smoke it. This man and his partner later called the emergency services, who found Whelan unconscious, having overdosed. While they were treating him, a paramedic discovered a note addressed to his father, indicating that he’d murdered Walsh and that she was in the bedroom. Whelan had regained consciousness by the time the gardaí found her body. He told them she was dead since the previous night. “I hit her with a hammer. It’s in the river,” he said. “I threw in the river. She’s dead. I killed her last night”. There was evidence of a cleanup; the Man United top he’d been wearing the previous night was discovered in the bathroom sink, where the water was still running. However her blood was found on it. An autopsy revealed that Walsh died of blunt force trauma to her head and face, with hemorrhage, inhalation of blood and brain swelling. She had 10 lacerations on head and face and her nasal bones were fractured. Neck compression was a contributing factor in her death; a ligature mark was found on her neck and there was a fracture of the hyoid bone. No weapon was ever recovered, despite the sub aqua unit searching the river. The sergeant said that the 30-year-old had first come to garda attention 18 years ago and had 73 previous convictions, including for burglary, aggravated burglary and possession of a knife. He had received an eight-year sentence in 2014, but part of it was suspended and he was released in 2016, the year he met Samantha. Donoghue confirmed that, while in custody in the Midlands Prison, Whelan penned a letter to Walsh’s father, Raymond, admitting what he had done and apologising. 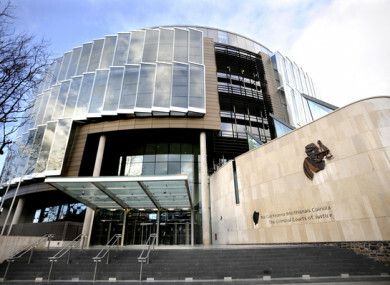 Under cross examination by defending counsel Michael Delaney, he agreed that a pharmacy had dispensed a large quantity of painkillers, tranquilisers and sleeping tablets to Whelan a few days before the murder. Other witnesses stated that he had taken the medication over those days. He also agreed that Whelan had referred to using an ashtray in his note, and not a hammer. Samantha’s brother, Raymond Walsh, then delivered a victim impact statement on behalf of her family. He began by holding up a photograph of his sister. “This is my sister, Samantha Walsh. She’s not just a name on a piece of paper,” he said. He described her as a loving daughter, mother, sister and auntie, who always had a smile on her face. He said she had a kind and helpful nature and was beautiful, inside and out. He said that she was old-fashioned and sentimental and would often write letters to her family. She wore her heart on her sleeve. He said that she had achieved a lot in her short life, most notably her four children. He said that her greatest role in life was that of an adoring and loving mother, who was so proud of her children. He said she loved nothing more than snuggling up with her four babies. He said that all four talk about their Mummy with love and said that these amazing children were testament to her unconditional love. He explained that her only son made his Communion a year to the day after her death and that they had to endure the sudden loss of their father seven months after losing their mother. “You have taken from the whole world a girl, who genuinely believed in caring, sharing and loving and never asked for anything in return,” he said. “We remember Samantha as a funny, smart and caring sister. We think about her every day and miss her beyond belief,” he said. He said the family was so proud of everything she did for her children, including seeking help for her alcohol problem. There was applause from the body of the court as he concluded his statement. Justice White said that a young woman in her prime with four young children had ‘met her death in an horrific way at the hands of Whelan’. He said that it was unusual that an accused person would plead guilty to murder and acknowledged that this had saved further pain through a lengthy trial. He expressed his sympathy to the Walsh family. “The duty of the court is to impose the mandatory sentence of life imprisonment,” he said, jailing Whelan, who was then led away by prison officers to begin that life sentence. Email “Man jailed for life for murdering woman he met in an addiction treatment centre”. Feedback on “Man jailed for life for murdering woman he met in an addiction treatment centre”.